Cousins Lydia and Sandra Troyer and their friend, Rosemary Beiler have always been close. The two cousins, however, both have eyes for handsome Ezra Wagler, leaving Rosemary to watch from the sidelines. But when the cousins fathers face financial ruin, Lydia and Sandra make a deal as to who should have Ezras affections&hellip;at which point Rosemary decides to make a play for Ezra herself. With more than 20 novels in print and sales of 600,000+ books to his credit, Jerrys loyal fans eagerly await this compelling new series. 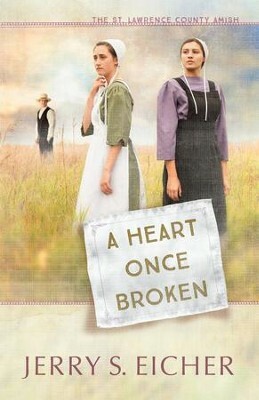 I'm the author/artist and I want to review A Heart Once Broken - eBook.